Happy Place Interiors is a socially-conscious home staging and decorating company located in the great city of Minneapolis, MN. 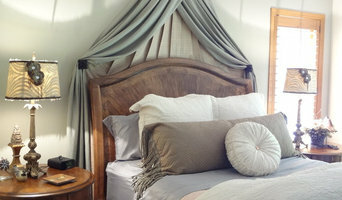 Happy Place Interiors has one mission: to bring happiness to people through the power of design. Happy Place Interiors was started because we love seeing people light up when they enter a room that has been transformed. We believe a well-functioning and beautifully designed space can change the energy in the home — people adapt to their surroundings — imagine being surrounded by things you love. This philosophy also applies to staging homes. When a buyer lights up as they walk through your door, your chances of selling skyrocket. With a fresh perspective and design principles, Happy Place Interiors will transform the "well-lived-in" house into the "I-want-to-live-here" house. Whether you're leaving your home or wanting to love it, Happy Place Interiors is ready to help put a smile on your face. And to spread the joy, 10% of profits are donated to local Minnesota charities that help those in need find, fix or furnish homes. 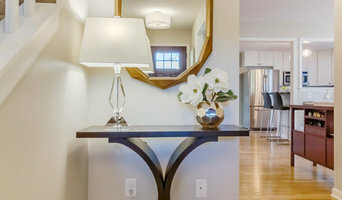 Details by Lynn D offers a wide range of decorating and design assistance. 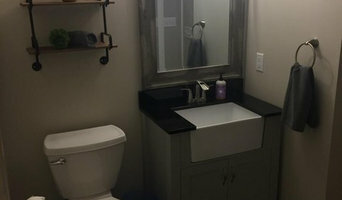 I can help with any scope of project including a room remodel, details involving new construction or simply breathing new life into a tired space - offering a fresh perspective. I can help as much or as little as you’d like - I love it all! I consider myself a laid back, down to earth person, who believes the key to creating a warm, inviting space is all in the details. I love taking on a project, helping my client create a vision and seeing the vision becoming a reality. With Lynn D its all about the Details! Success is a word often described in terms of dollars and cents. Maureen believes that "success" extends far beyond numbers. She defines success as being happy in one's work and life. Furthermore, Maureen measures success as the alignment of one's soul with one's true calling. It means realizing your dreams and going for it, which is exactly what Maureen did when she launched her own interior design business: mint, inc. Complete design services for over 30 years. Specializing in residential, commercial, hospitality and health care. 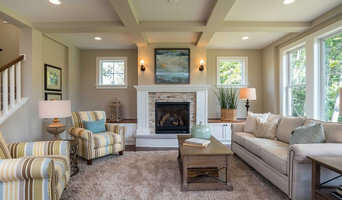 Full service Interior Design firm Interiors International, Inc. is a service-oriented residential and commercial Design/Build/Remodeling company that specializes in a whole project approach to every job. We can do an entire project or any part of one that you need. Since the company’s inception in 1990, III has specialized in the interior design, build and renovations of homes and commercial projects. We will work across the nation and in most countries. Our clients are happy to talk about the standards that are important to us, because they are also important to them. Quality, value, service, and trust are our top priorities, and we make sure every member of our team shares these values. We are strong believers in green products and building practices. Saving money, energy, and the environment are important to us. We feel that these are valued by our clients as well. We understand that when we are working on your project, you are inviting us into your world. Your trust is very importance to us; we hand-picked the subcontractors and tradesmen who work with us. This is to insure that you can feel confident that the construction process will run seamlessly and efficiently. We believe that the process should be as enjoyable and fun as possible. Best of Houzz Customer Service Award 2018, 2017, 2016, 2015. reVISION Consultants is a Twin Cities based interior decorating, design and organizing company that offers a complete range of services. We believe that our ability to listen to our clients is the key to our success. We work side by side with our clients during the design process to create a space that reflects who they are and what they love.